It's been a bleak reading week -- sometimes life just happens. The Many Lives & Secret Sorrows of Josephine B. by Sandra Gulland (one of my Women Unbound challenge selections). Young Josephine Bonaparte shines at the center of a new, sweeping, romantic work of historical fiction by Sandra Gulland: detailed and exhaustively researched, compelling and powerful, The Many Lives and Secret Sorrows of Josephine B. is the first in a trilogy of fictional novels tracing the actual rise of a young European noblewoman who would one day stand next to Napoleon. From the heartbreak of lost loves to the horror of revolution to the hope of new days, it's an intimate epic any romance lover will love. Not sure how much reading I will get done in the next few weeks -- I will be gone for the Labor Day weekend, so no Monday post from me next week. But stay tuned -- I have a big reading announcement planned for Wednesday, September 8th! Get your Cowboy boots ready! 10 comments: Labels: Monday -- What are you reading? (Wow -- fascinating and terrifying, especially since I almost put the milk in the cabinets instead of the refrigerator! Will definitely read more by this author -- I loved it, I'm adding it to the "staff picks" on the library shelf). Busy week ahead -- I start back to work at the library tomorrow, I have to take dinner to a family on Tuesday, I have dental appointments for 2/3rds of my children on Wednesday -- and I have my FIRST PTA meeting on Thursday! I am terrified! I'm trying to remember my Robert's Rules of Order! "I need a motion, is there a 2nd? "All in favor say AYE -- the motion passes!" I wish it was that easy. I hope I get to read a little bit this week. Have a great week -- what are you reading? 12 comments: Labels: Monday -- What are you reading? Marjorie Jacobsen and her best friend Marty (Martha) set out from the University of Iowa in the summer of 1945 to embrace life in the Big Apple – New York City. Convinced that getting a job at any one of the many department stores was effortless, they were surprised to learn that securing employment for the summer was much more difficult than they imagined. Surprisingly, they were lucky enough to find jobs as “pages” for Tiffany & Co – where they sported beautiful aqua silk jersey “uniforms” and helped the sales staff on the various floors. During their summer they encountered celebrities, millionaires, gangsters and the celebration on Times Square when President Truman announced that the Japanese had surrendered, thus ending WWII. It was, as Marjorie details, the best summer of her life. This was a quaint tale – full of nostalgic reminiscing from days gone by. Marjorie and Marty manage to live on $20 a week, eat lunch for 15 cents, meet midshipman, and attend all the “in” clubs and bars in NYC at the time. While this was a charming memoir, it read more to me like something a Grandmother would write to her grandchildren – not to a major reading audience. I would have enjoyed it more if I had read it in one sitting (an entirely manageable goal), because there wasn’t anything in the book that kept me wanting to continue the story. Each time I put it down, I had a hard time finding a reason to pick it up again. But one thing I appreciated about the book was how the author makes one reflect on those “special times” in one’s life – and made me think, what was the best summer of my life? Do you have a “best summer” experience? I missed book club tonight. One of those rare occasions when the needs of my children took precedent over my personal need to chat about books, enjoy the friendship of my book groupies, and eat yummy food. My husband (who works in professional theatre) had the audacity to have a show tonight! How dare he! And it corresponded with the being the first day of school -- so, instead of getting a babysitter -- I knew I needed to be home to make sure the kiddos were fed, read and in bed at a descent hour. 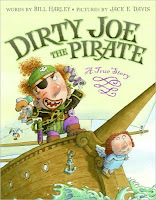 This tale of pirate plunder will have your children giggling at the sight of dirty socks and pilfered underwear hanging from the masts! It's especially important in our house because it features characters with the names of two of my children! They hoot and howl when we mention them! Violet is a young princess who wishes she could show the world that she is just as brave and strong as her brothers. But her strict father insists that she get married, and her brothers only mock her when she wants to be included in their fun. So Violet decides to use her intelligence and bravery to show everyone--once and for all--what she's made of. Disguising herself as a boy, Violet takes part in a knights' jousting tournament. When she wins the contest, she reveals her true identity--and wins the prize of freedom! Oh, how I love a Princess story with a feminist twist! This is my daughter's favorite. One morning Princess Isabella throws her crown out the window--it's BORING being a princess, she declares. When she steadfastly refuses to fetch her crown from the fishpond, her father, the king, puts his royal foot down. "Off to the pigsty with you!" he commands--and Isabella couldn't be happier about her punishment! Because while plain old princesses spend all their time primping and smiling and stifling yawns--yuckety-yuk!-- REAL girls get to peel onions, pick blackberries, and sometimes even sleep outside with the pigs. Another great tale about an independent, original princess! Brave as a lion, strong as an elephant, Ben is a fearless young boy. When it comes to protecting his big sister, Anna, nothing can stand in his way! Gallantly he spends his day battling moldy green ghosts, slime-belching monsters, and all sorts of ferocious beasts. But when the day is over and darkness falls, Ben suddenly doesn't feel quite so brave. Sometimes, he realizes, it's the big sister who does the protecting. Featuring Meyer's witty, whimsical artwork and Funke's deft balance of humor, emotion, and truth, this is the perfect bedtime read for rambunctious brothers and sisters. Most brothers and sisters won't admit they are willing to take care of each other (at least in our house) but in this book, they do! 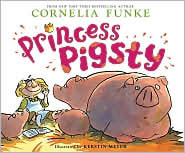 I've never read any juvenile fiction by Cornelia Funke, but if they are like her picture books, I'm sure I would love them! As far as book club, I was supposed to read, Same Kind of Different as Me, by Ron Hall and Denver Moore -- but once I knew I couldn't attend -- my copy got passed to another book club member, and it never made it back around. I know the buzz in our group that it was a GREAT book -- I hope I get a chance to read it sometime. 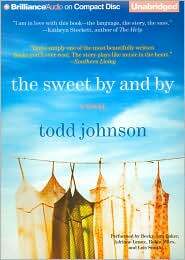 In his debut novel, Todd Johnson explores the lives of five Southern women who are unexpectedly connected to each other. While most of the action takes place in a nursing home, their stories never fall short of livelihood. 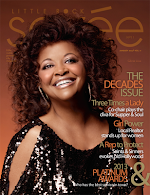 Think of it as Steel Magnolias meets The Golden Girls. I haven't heard much about this novel -- anyone out there read it? Well, off to clean the kitchen, then to bed -- for it's a school day tomorrow! Dex and Em. Em and Dex. So seems to be their world in One Day by David Nicholls. Dexter Mayhew and Emma Morley meet at University on July 15th – and for the next 19 years (and chapters) we are given a snap shot of their relationship and the evolution of their lives on the same date. There were many times during this reading that I thought I was enduring 50 years of their relationship. But let’s not get ahead of ourselves. This novel has already been optioned as a movie starting Anne Hathaway and a British actor, Jim Sturgess…so the buzz for this book as been lofty. I had high expectations of clever romantic comedy and romance; sexual banter and wit; a happy ending. Bullocks! And I don’t even know what that means?! From the first page I realized I was behind the 8 ball because this is ultimately a British book. With British humor (or humour) and British slang. None of which I understand. Words like knackers and shagger and summat. Oh, and the aforementioned Bullocks. I needed either Hugh Grant or Austin Powers to translate for me. If there was any rhythm or repartee – it was lost on me, because I didn’t understand the context. So shoot me. Also, the characters – Em and Dex or Dex and Em – whichever you prefer – were just not the least bit appealing. Dex is ultimately a drunk. He spends the majority of the book wallowing in his own filth and vomit. At one point, he is taking care of his 7 month old daughter in a drunken stupor and his actions, in any other “REAL” situation, would have gotten him arrested. All the while the author was trying to make it FUNNY. Not so much. And his treatment of Emma is not very endearing either. Why she would want to spend one minute with this oaf is beyond me. Emma is only slightly better. She at least is sober – but we endure her dead end job at a terrible Tex-Mex restaurant in London (Tex Mex in London? Really? ); a long term, but loveless, relationship with Ian, and a fling with a school headmaster, which is icky. Eventually though, Emma gets her act together and develops her love of writing, which leads to a book deal. Things are looking up for Emma—and then Dex reappears. I was hoping for the best at the end – hoping that I would like that these two found each other and, really, deserved each other. But it doesn't happen. Or at least how I wanted it. Boo. If you are an Anglophile with a deep love of all things British, then you would probably enjoy this novel. It just wasn’t for me. Mari of Bookworm with a View also reviewed One Day. SUMMER AT TIFFANY is a memoir of the summer of 1945, when Marjorie Jacobson and her best friend Marty travelled from the Kappa House at the University of Iowa to New York City, hoping to land sales jobs at Lord and Taylor or Sak's Fifth Avenue. Turned away from the top department stores, they made their way to 57th Street where refusing to be deterred, Marty lead Marjorie into the legendary Tiffany store, and somehow these best friends talked their way into positions as pages–the first women to ever work on the sales floor. I have a confession. I lied. Because of my commitments, I have hearby given myself a personal ultimatum of no longer putting books on HOLD at the library. My current read, and this book are the LAST books that I have requested from the library. Once I am done reading these, I can start to make a dent in my own books. I have FROZEN all my other requests. It's like library book purgatory! Well, I came home with THREE books this week. None of them were on hold -- they were ALL impulse check outs. Books are my "crack." At least I can't be arrested or subpoenaed. A passionate and beautifully written tale of personal loss in the midst of war in late 1950s Cyprus, Small Wars raises important questions that are just as relevant today. A gripping and lyrical story—at once expansive and lush with detail—this debut novel is a deeply intimate exploration of the search for love and authenticity, power and redemption, in the lives of three women, and a penetrating portrait of a small, tenacious nation, Uruguay, shaken in the gales of the twentieth century. Kids go back to school on Thursday -- maybe I will celebrate by staying in my pajamas and reading all day! 16 comments: Labels: Monday -- What are you reading? Hi, I am Daisy Daughter. I read The Mother Daughter Book Club by Heather Vogel Frederick. It is about four girls in a book club who are reading Little Women with their mothers. The girls are Megan, Emma, Jess and Cassidy. Megan loves fashion but her mother doesn’t approve. 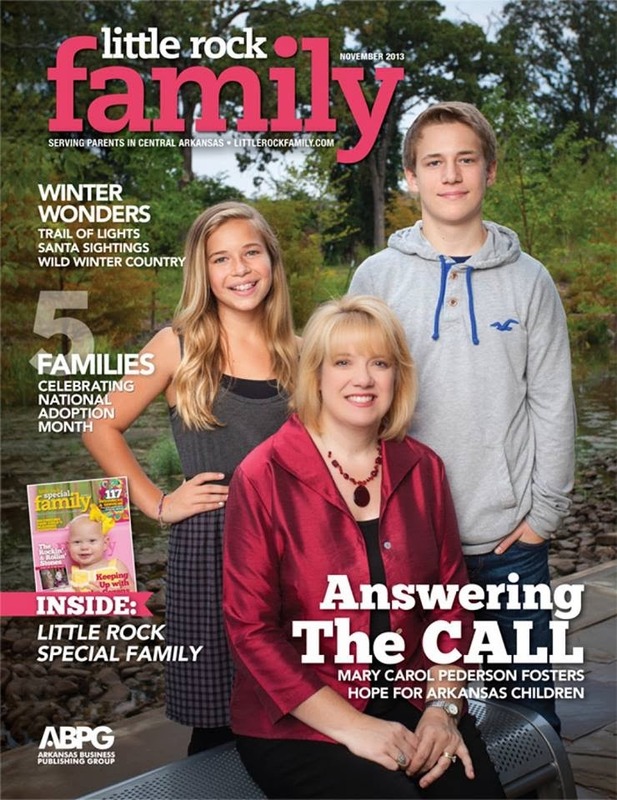 Cassidy loves hockey and her Mom used to be a famous super model – hard to believe they are related?! Emma wants to be a writer and her Mom is a librarian. Jess really wants to be a poet and her Mom is on a T. V. show in New York City. I really liked this book. I think whoever reads it will like it. Megan was my favorite character because she was the most like me. There are three additional books in this series…Much Ado About Anne (Anne of Green Gables), Dear Pen Pal, and the soon to be released Pies and Prejudice. I want to read them all. This is our mother/daughter book club choice for September. I am way ahead! It’s Monday! What Are You Reading? is hosted by Sheila at One Person's Journey Through a World of Books. It's is a weekly event to celebrate what we are reading for the week as well as books completed the previous week. One thing I learned this week -- PTA responsibilities and reading do not co-exist. I wasn't able to read a single page until Sunday afternoon. I tried earlier this week, but once I was done with school registration and I climbed into bed at night, my eyelids were too heavy to open the cover of a book. Holy smokes -- an amazing novel, but I am exhausted and despondent. Not to mention, extremely protective of my children. I haven't worked at the library in over a week -- so all my HOLDS are still there. I have Red Hook Road waiting for me, but from what I know of the plot, I think I will need to push this back until I have some time to process the above. It's 1988 and Dexter Mayhew and Emma Morley have only just met. They both know that the next day, after college graduation, they must go their separate ways. But after only one day together, they cannot stop thinking about one another. As the years go by, Dex and Em begin to lead separate lives lives very different from the people they once dreamed they'd become. And yet, unable to let go of that special something that grabbed onto them that first night, an extraordinary relationship develops between the two. Over twenty years, snapshots of that relationship are revealed on the same day July 15th of each year. Dex and Em face squabbles and fights, hopes and missed opportunities, laughter and tears. And as the true meaning of this one crucial day is revealed, they must come to grips with the nature of love and life itself. 21 comments: Labels: Monday -- What are you reading? How did I miss this video??!! Hysterical! This was an amazing journey. Kudos to Lisa for doing what most of us don't. 11 comments: Labels: Monday -- What are you reading?